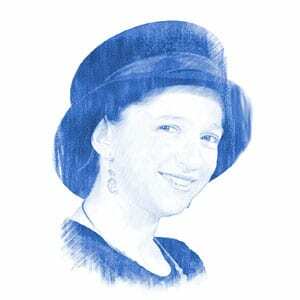 Ahuva Balofsky, Author at Breaking Israel News | Latest News. Biblical Perspective. In a blow to the Boycott, Divestment and Sanctions (BDS) movement, foreign investments in Israel have been growing despite efforts to isolate the Jewish State internationally. An Israeli defense company is partnering with an American counterpart to produce what could be the next generation of suicide drones for the US army. A PA document, prepared to support a recent WHO resolution condemning Israeli violations of Palestinian health rights, was found to contain multiple false photographs, meant to “prove” Israeli atrocities. In keeping with the teachings of the Bible on accepting the stranger, Pope Francis encouraged a group of schoolchildren to see migrants as brothers. Kicking off Memorial Day weekend, President Obama paid a visit to Hiroshima, raising ire and drawing criticism for allegedly apologizing on behalf of the US for dropping a nuclear bomb on the site in 1945 and effectively ending WWII. Israel’s National Emergency Authority is gearing up for Emergency Preparedness Week, with a goal of improving the country’s readiness to face a likely prolonged rocket attack. IDF soldiers and border police arrested 21 Palestinians across the West Bank overnight Tuesday and into the early morning hours, including 10 suspects in the same town. Palestinian Authority (PA) Prime Minister Rami Hamdallah flatly rejected his Israeli counterpart’s offer of direct negotiations instead of a French initiative, accusing Prime Minister Benjamin Netanyahu of stalling. Pope Francis met with the grand imam of Cairo’s Al-Azhar Mosque at the Vatican on Monday, embracing his Sunni Muslim visitor in a sign of improved ties between the two religions. Hamas, the terrorist group which rules the Gaza Strip, announced Sunday that it would begin conducting public executions. The Lebanese Army has established a series of watchtowers along the border with Israel, a move which has Israelis worried the towers may end up in Hezbollah’s hands should violence resume. Although yet to be confirmed, reports suggest that Republican presidential hopeful Donald Trump may be planning a trip to Israel ahead of the party’s convention this summer. Supporters of the BDS movement are no different from those who attack Israelis with violence, a prominent Israeli leader has said.